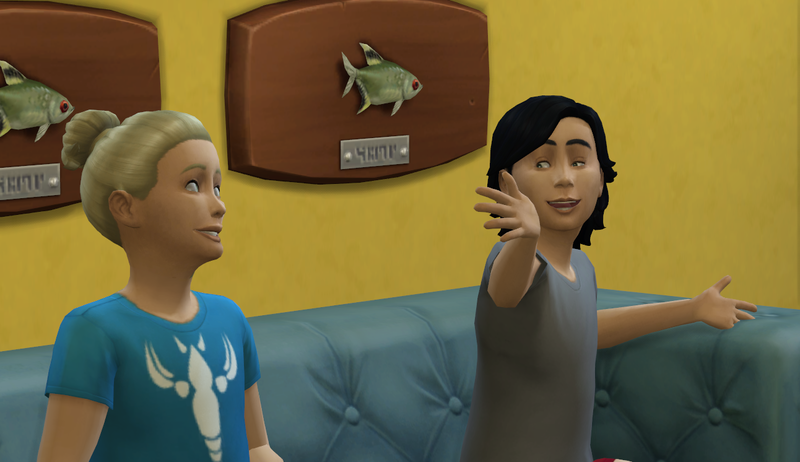 Chapter 19: Full House Again! 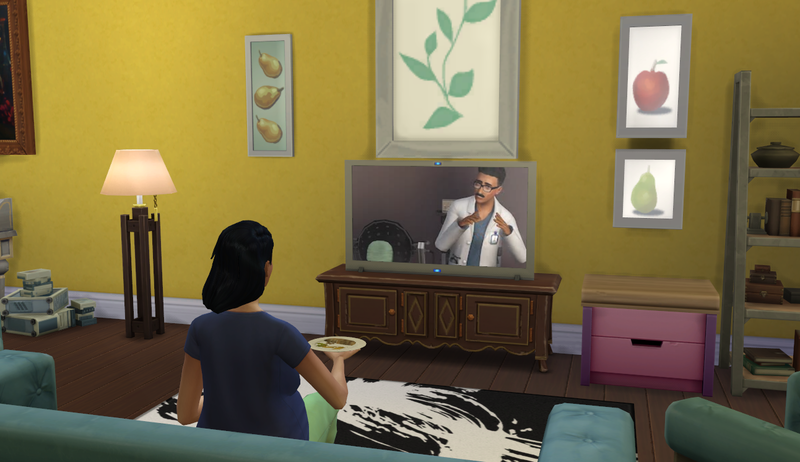 We catch up on “Simton Abbey”, Maggie has twins, and Michiru doesn’t like either thing. I think the kids are on to their parents wanting a large family. Maggie’s family aspiration requires at least four kids. As we’re on three right now I realize that I should have adopted after Michiru was born (for that third leg of the journey) but NOPE, Maggie and Ryu are expecting yet again! Oh, here’s another look at Sakura’s pretty little face. 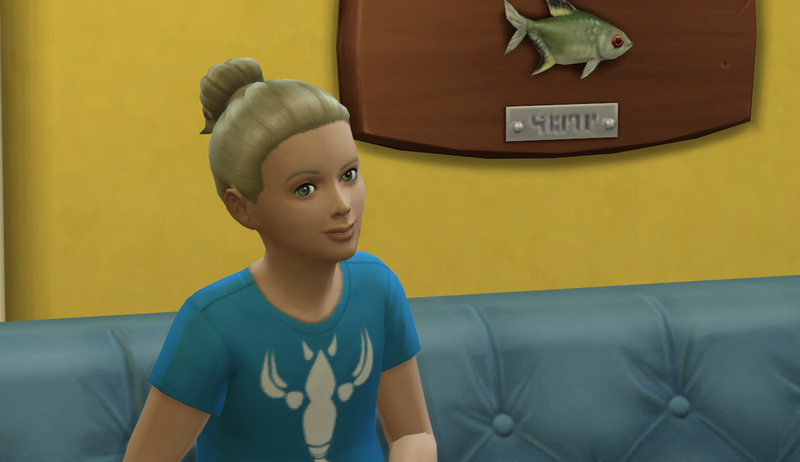 I never look at my Sim’s eyes but hers are green like Misaki’s! At this point in the game I think I went on auto pilot and didn’t take as many screenshots as I’d have liked. I had a very busy week and weekend and didn’t feel like documenting. Still, I’ve gotten enough of the important parts and perked up a bit when I was playing Tuesday evening. 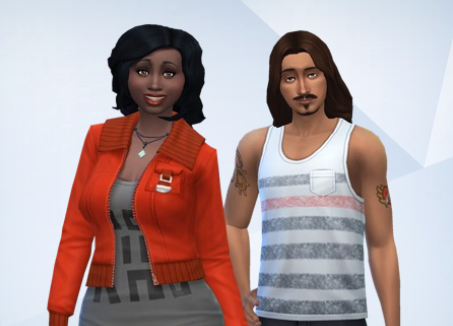 Anyway, Michiru aged up and… tada! Dark hair again! 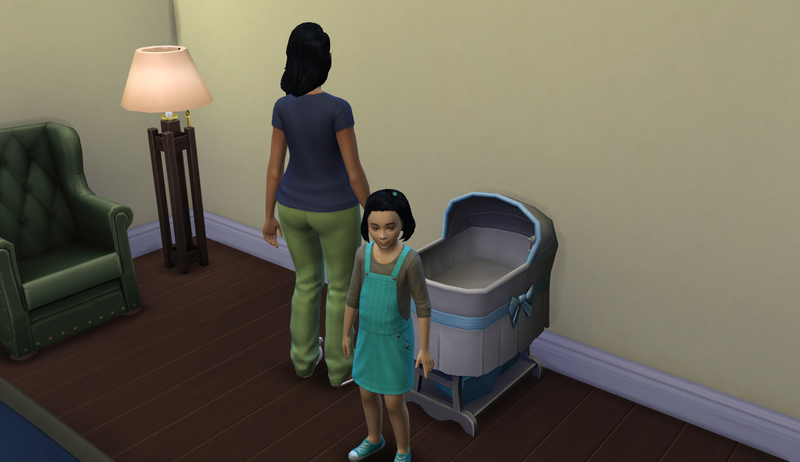 She looks like her mom a bit. I can’t wait until she (and the rest) age into teens and I can see who they really resemble. The kids have developed a bad habit of going to bed before doing their homework and then waking up super early in the morning to complete it. 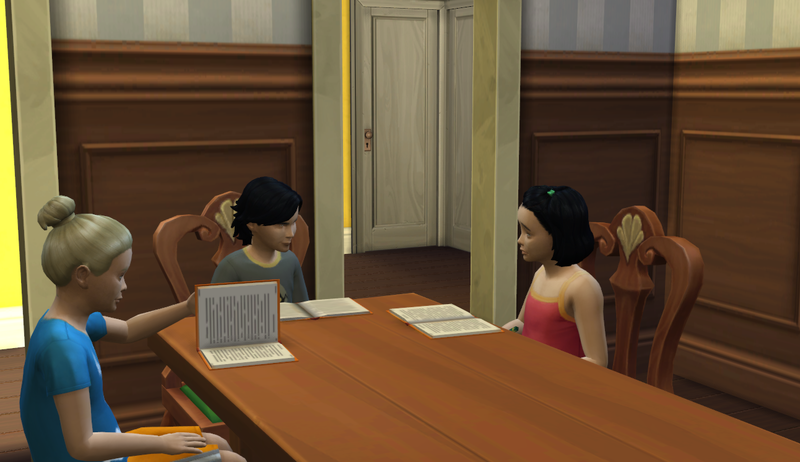 Haru and Sakura are teaching Michiru their procrastinating ways. 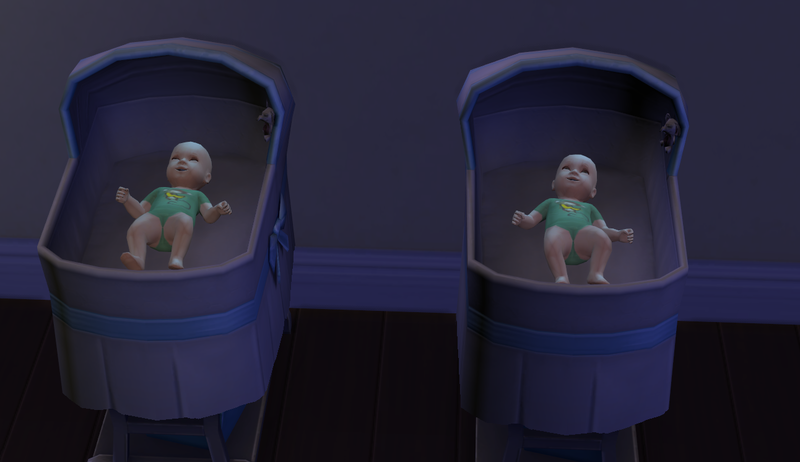 Seriously, whenever I say to myself “Okay, we’re going to stop after this next kid” I get a surprise in twins. This happened in Gen 1, too! Jung died and Misaki had the twins. Crazy. 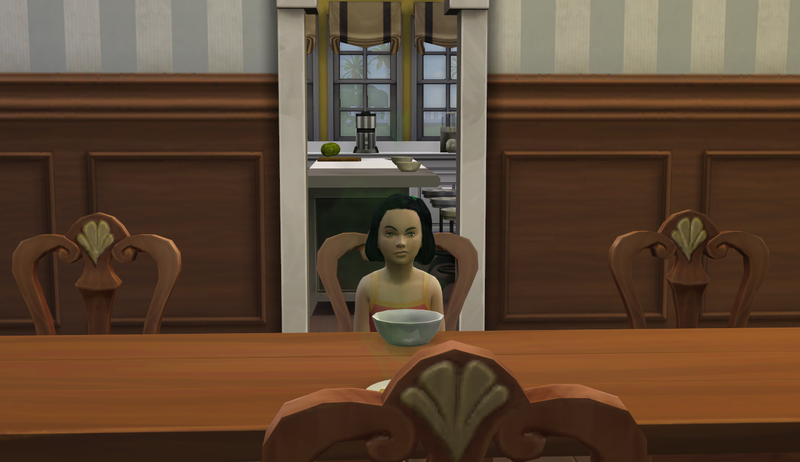 Michiru is a little miffed at the arrival of TWO new siblings. Her face could not have been better here, haha. ← Chapter 18: Peace and Quiet? Simton Abbey xD hahahah I’m a fan!